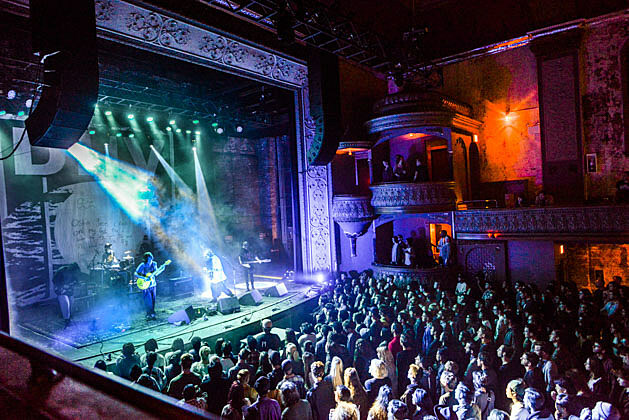 Thalia Hall, which was originally designed as an opera house, seemed to be custom made specifically for the New York City band. 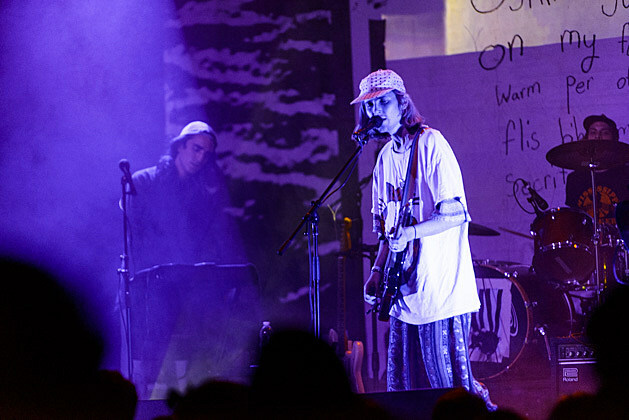 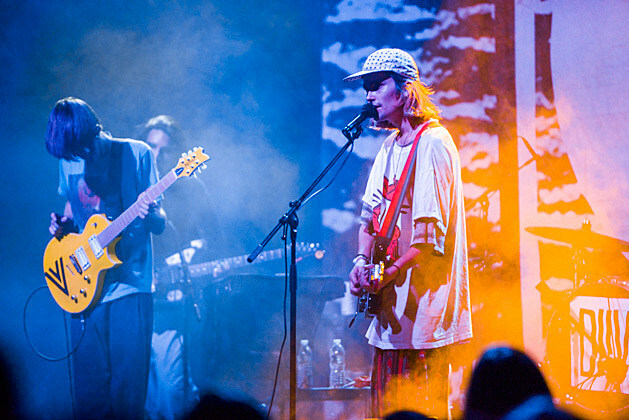 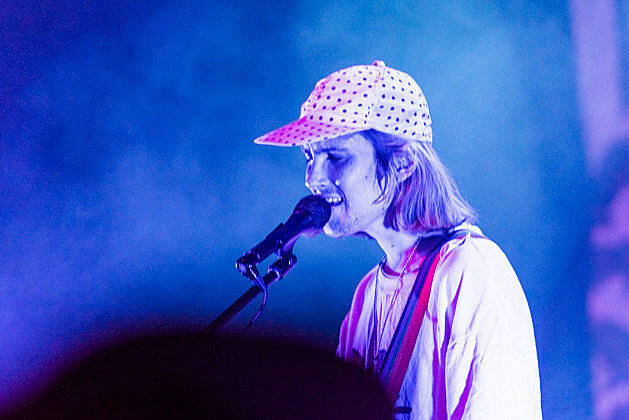 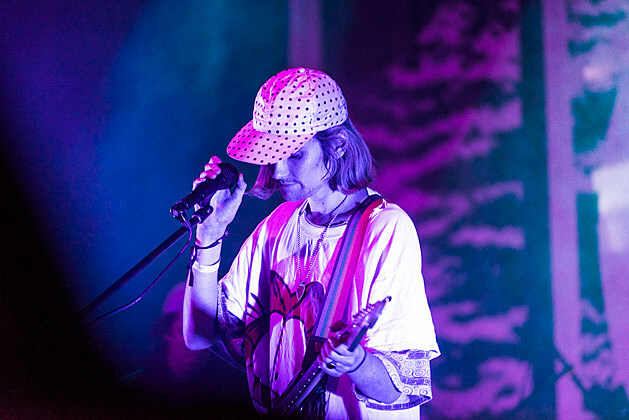 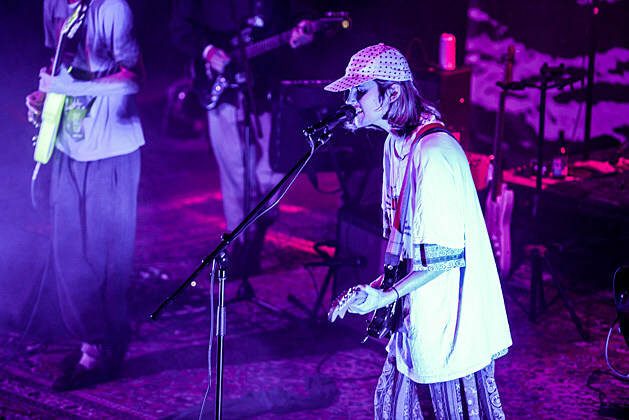 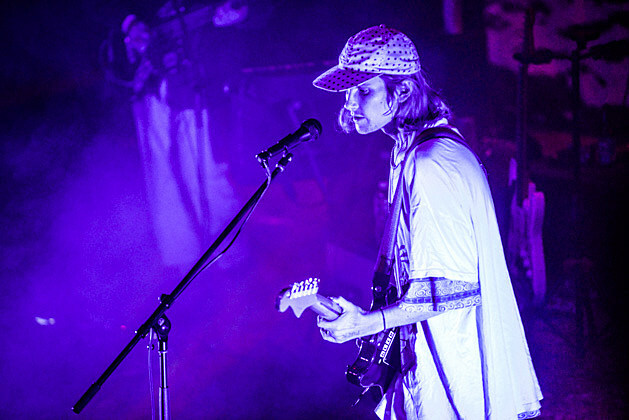 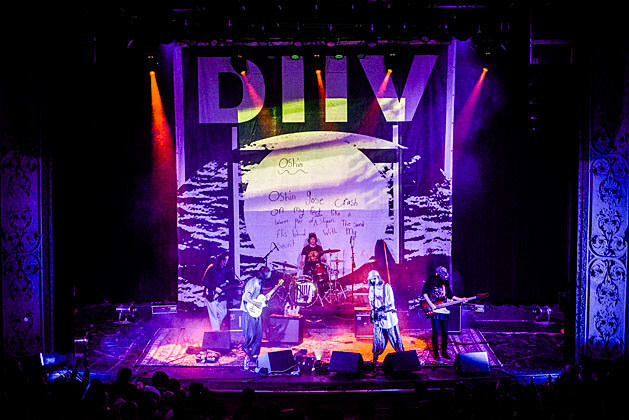 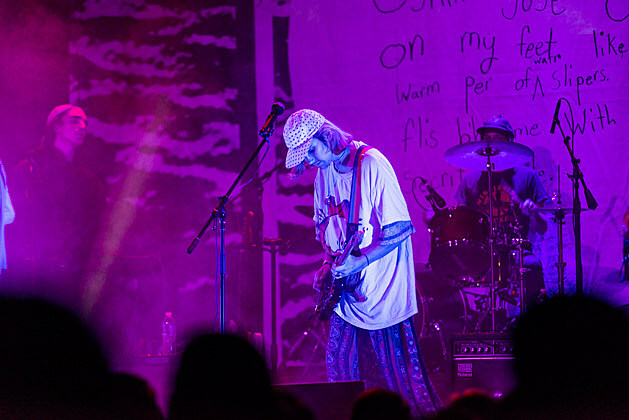 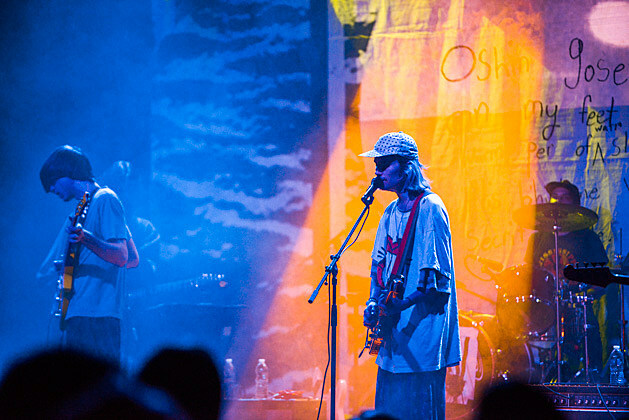 DIIV’s beautiful and natural stage presence was emphasized by soft, pastel lights floating over the crowd, elegant and intricate crown molding lining the stage, and enough room on stage for all five members to move around freely. 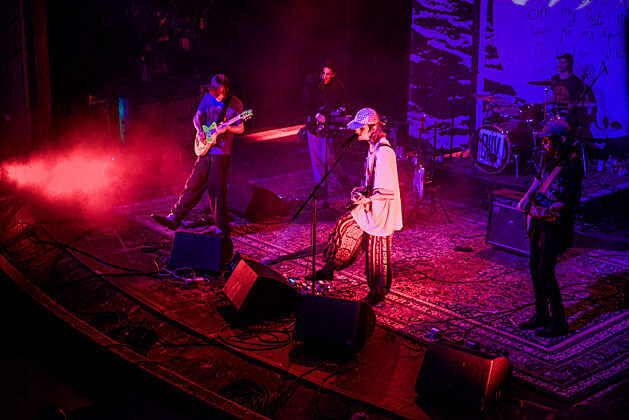 It fits the quintet’s performance: the grainy home videos of Smith’s girlfriend, Sky Ferriera, and other random scenes playing on the backdrop, the peculiar, glowing guitar of Andrew Bailey, and the almost liquefied way Smith’s vocals wave out into the audience. 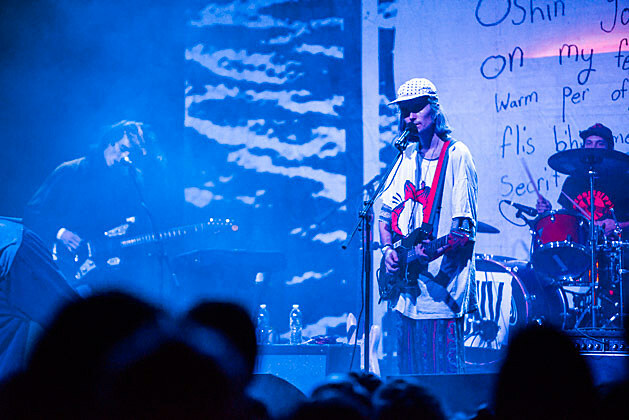 Plenty of fans seemed to mimic DIIV’s slacker indie boy appearance, making a conscious effort to look like they hadn’t showered in a week while lankily bobbing around during the show. 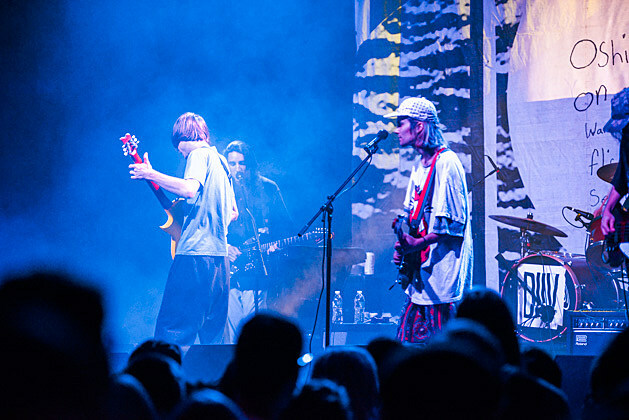 Then there was the standouts- the ones who shouted nearly every lyric and then grew silent to soak in the new music that they had been fervently and painfully waiting for. 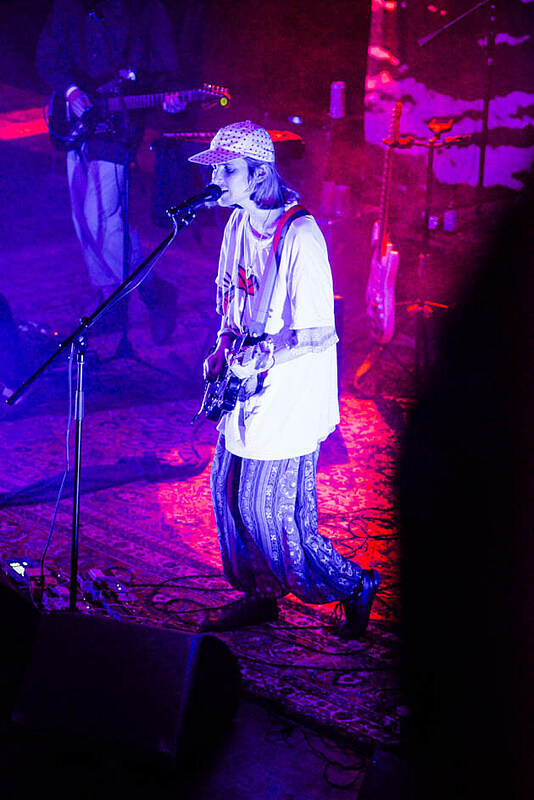 DIIV brought their tour with No Joy and Sunflower Bean to Chicago’s Thalia Hall on October 12, and we’ve got pics of DIIV’s set in this post (unfortunately we missed Sunflower Bean and No Joy). 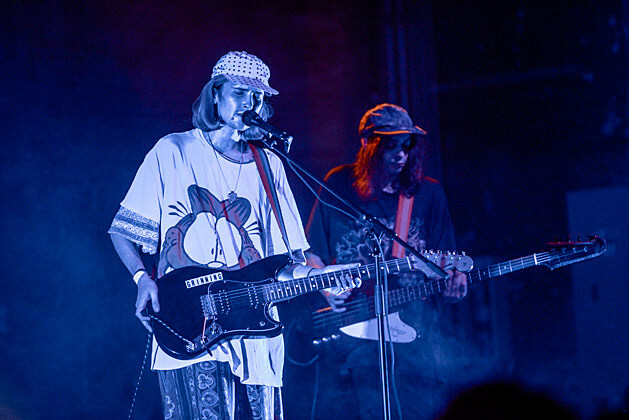 DIIV, who have a new album on the way, played a set that mixed older material in with stuff that will presumably make the new record. 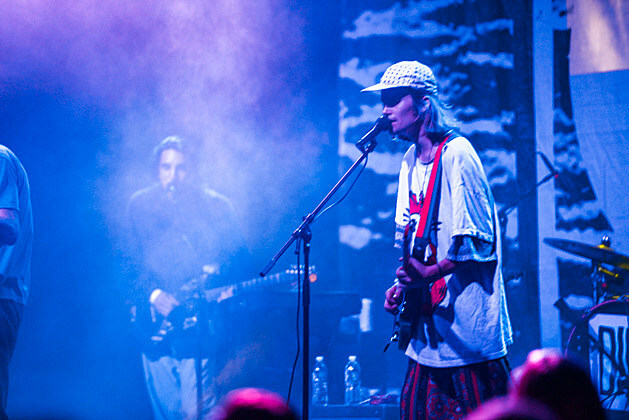 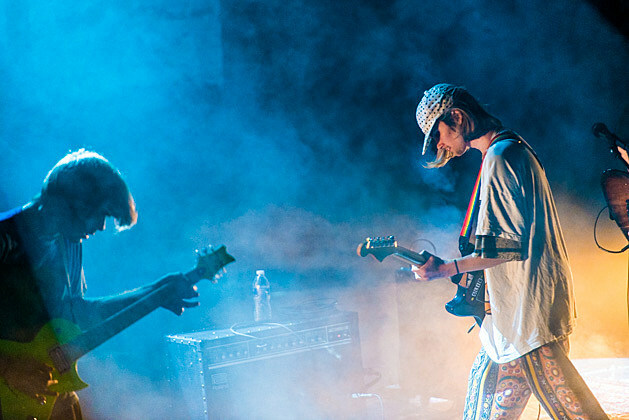 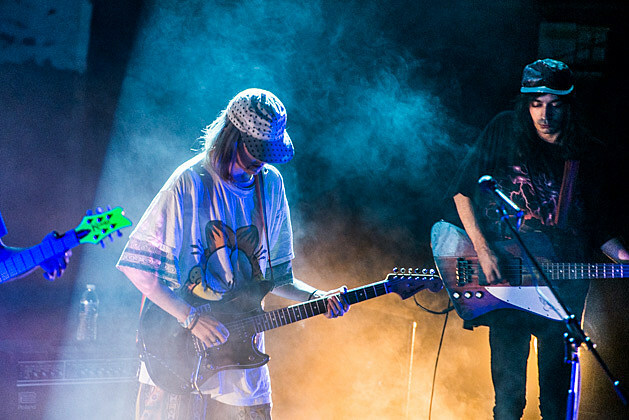 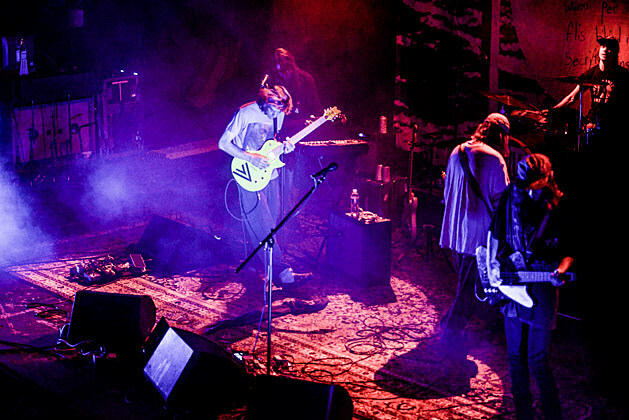 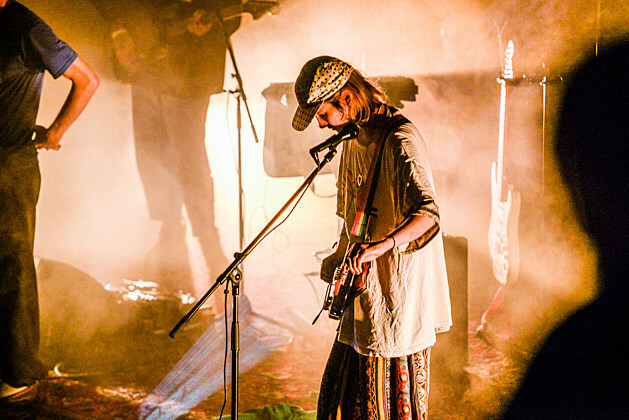 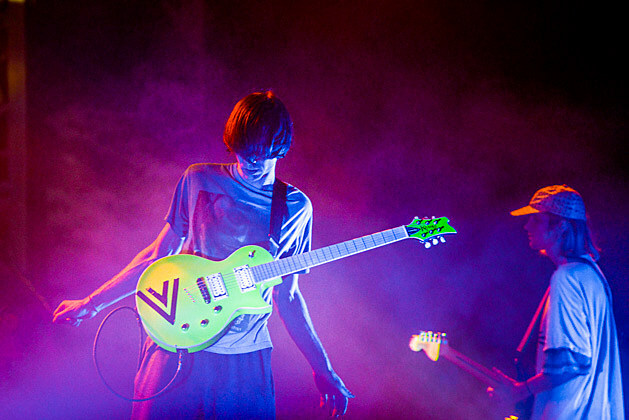 Check out more pics of DIIV below.